The Secrets To Eliminate All Your Problems, Worries & Stress Is About To Unveiled! Learn How You Can Let Go All Your Mind Burdens With Empty Mind Meditation! Do you have problems and worries? Im sure everyone have their own problems especially with their work, relationships and money. So people keep on looking for solutions from books, courses and even attended many seminars. You may not want to accept this but this is the absolute truth... The Answer Is Within You... Yes, this is true. Anything that happen in your life is a reflection of what is happening within you. 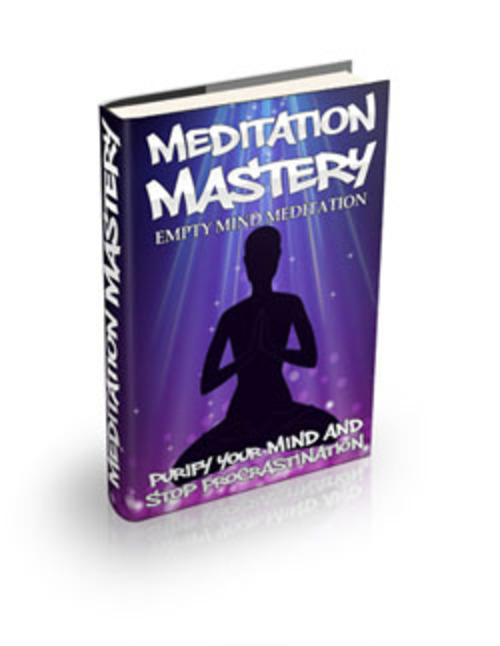 Introducing Meditation Mastery - Empty Mind Meditation which will Purify Your Mind and Stop Procrastination. - What is Empty Mind Meditation?